Finding new ways to style your hair is always fun. Inspiration, however, is not always easy to find, and even when you do find it it won’t necessarily come with instructions so that you can recreate it. It’s not impossible, though. As long as you understand how curling works and what you need to use to achieve the result. 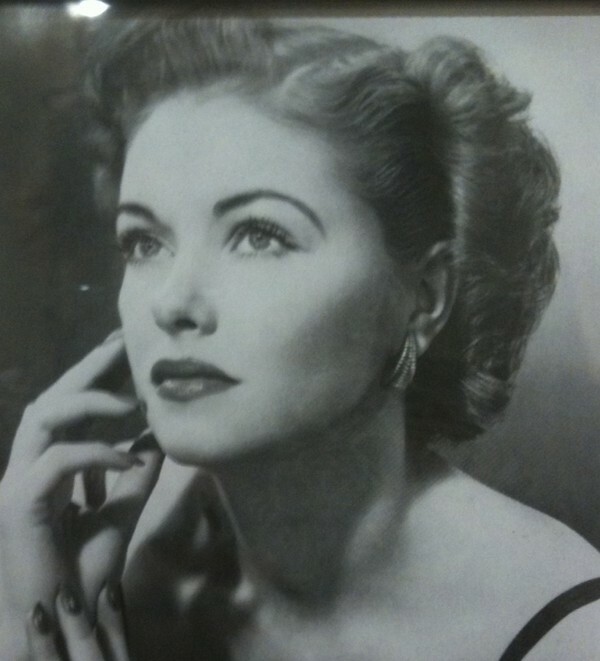 I found this picture in a photo frame at a department store. I couldn’t take a snap of it fast enough! With my new shorter hair cut, this style is exactly what I’ve been looking for. 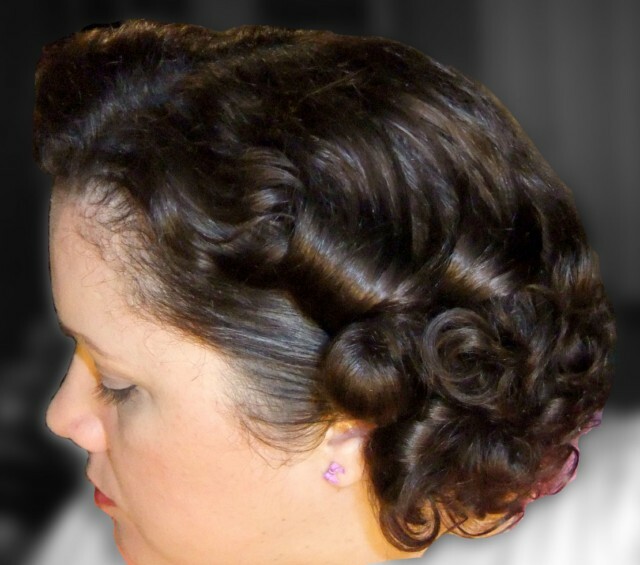 There aren’t many tutorials around for shorter vintage hair around, so I’ve decided to write one. 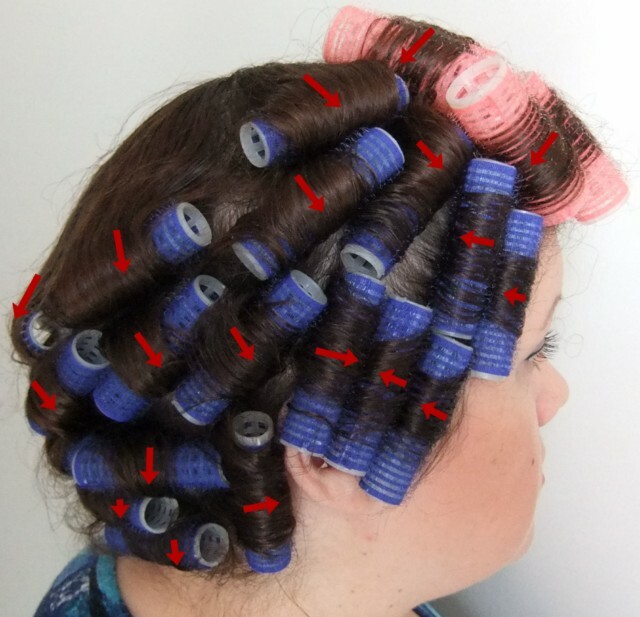 Ideally this would call for pin curls galore, and while I enjoy a good pinset, I have to admit that I really enjoy curler sets for their ease and speed. For this one, I chose slightly wet hair and velcro rollers. For this kind of set you’ll need at least 90 minutes, longer if your hair is longer, thicker or wetter. I like to do it over a few hours, as the hair gets more time to rest in the set. When my hair was to my shoulders, I would have set it 3 hours prior. Obviously this is not always possible, so these sets are kept for when I ‘m able to “set and forget” while I do other things. 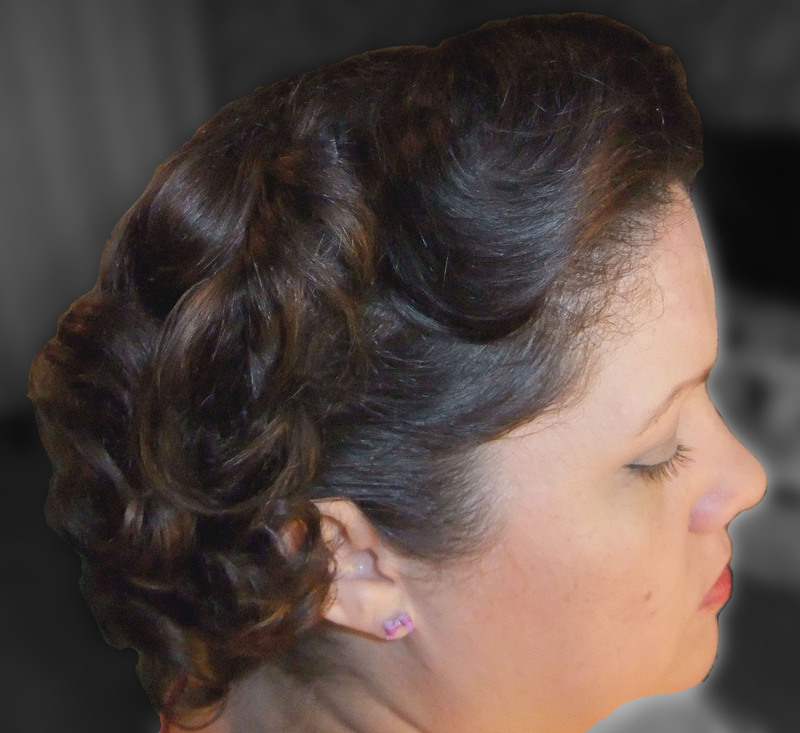 I used 25mm rollers at the front and 15mm rollers around the rest of the head. You can set dry and then wet the hair with a spray bottle once it’s in rollers if that’s easier. 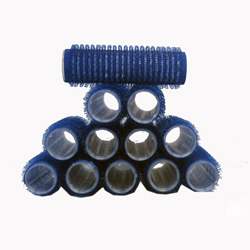 One very important thing to remember is to not put too much hair on any one roller. Too much will make it take longer to dry, it will also affect the size/intensity of the curl when finished. 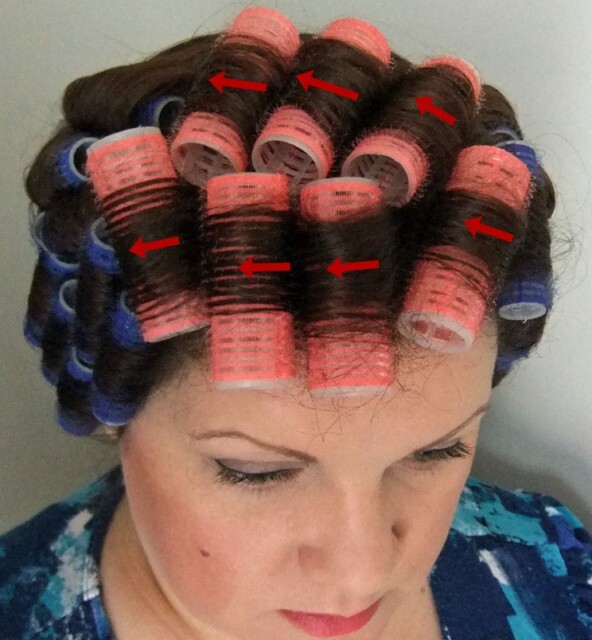 The other thing to try to do is use roughly the same amount of hair on each roller. This will help keep the waves in your set uniform. I always start at the front of the hair when I set. It keeps it out of my face for the rest of the set, plus it’s just easier. Starting at the part (mine is on the left) working the rolls away from the part. On the left side, I put one roller away from the part. 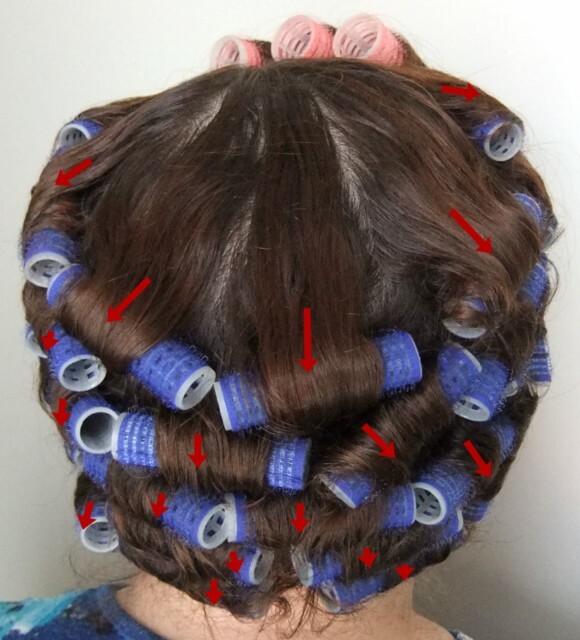 Then two rows of rollers at the front which are set toward the back of the head. 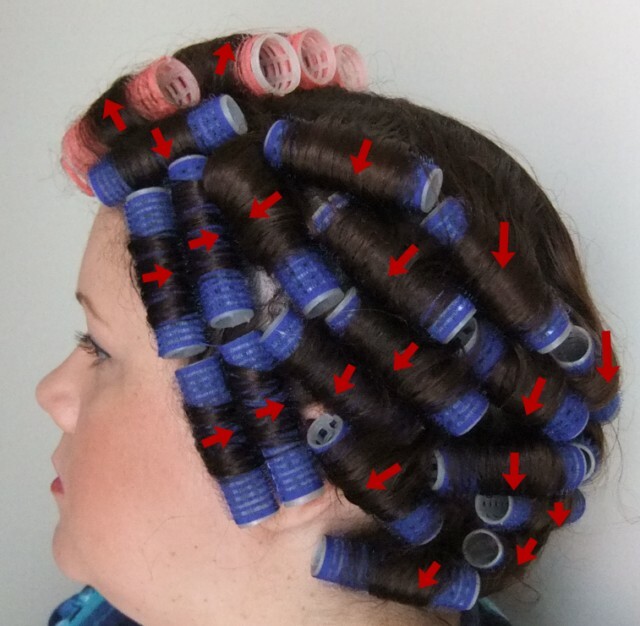 The right side has the same two rows of curlers set to the back. 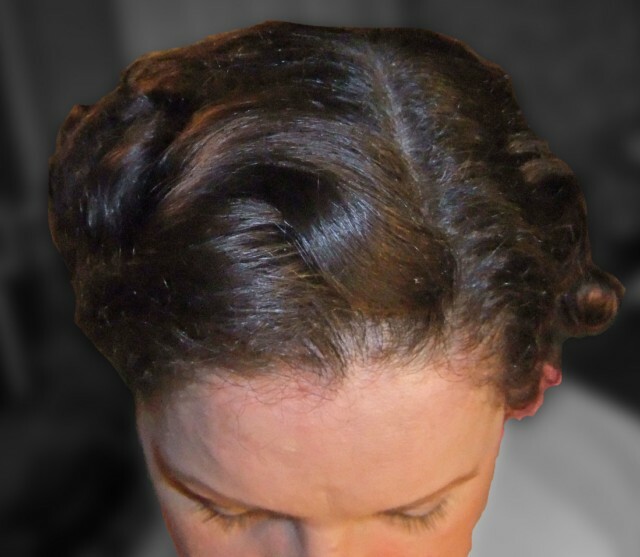 Then to create the smooth crown, I set rollers downwards around the head starting from the sides of the front rollers to halfway down the back of my head. 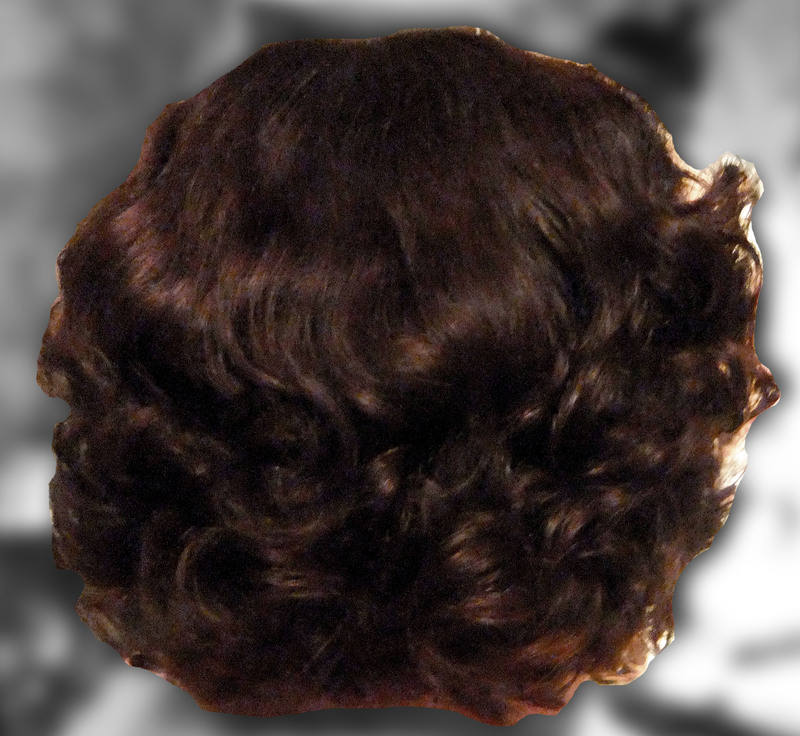 The remainder of the hair was set downwards underneath the original row, following the natural shape of the head. You can use a setting lotion if you want more ‘hold’, I have quite curly hair to begin with, and have found that I don’t really need it. It can be handy for longer, thicker or straighter hair, however. You can put this on before you start setting, or give it a quick spritz once the rollers are in. Once your hair is dry, and your curls have cooled down (very important), starting at the nape of your neck, remove each roller, being careful to maintain each curl. 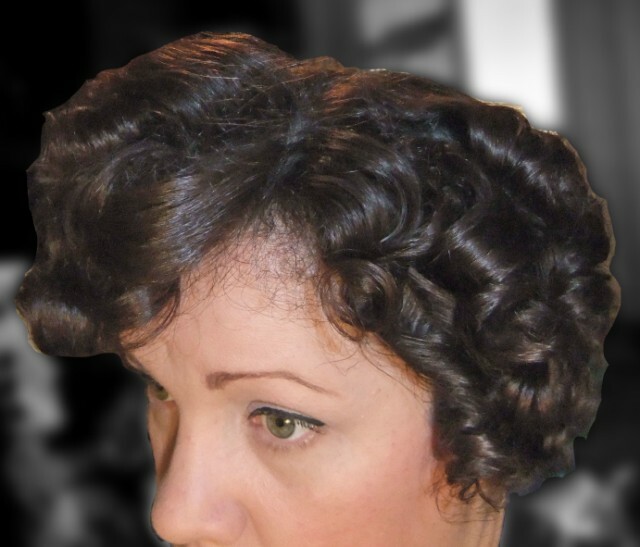 Once you’ve removed all the rollers, you’ll notice that you look something like either a poodle or Shirley Temple. Now is the time to decide how you want the set to finish. 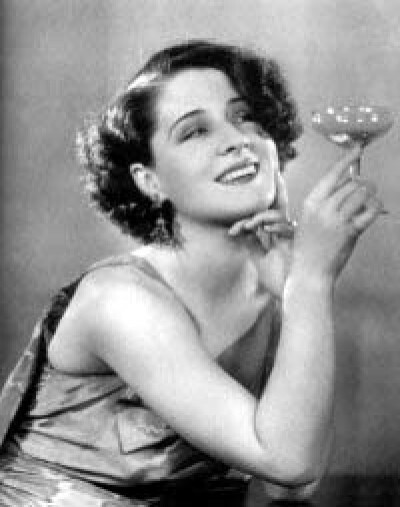 If you’re up for a bit of “fluff” (ala Norma Shearer), then just run your fingers through your hair and be done with it. Because I was aiming for a smoother look, I put a little Brylcreem through the ends to help prevent frizzing, and add to the gloss of the hair then I took a brush to it. What kind of brush you use is up to you, but I opted for my vintage flat bristle brush to really smooth it out. To hold it in place, I used a comb on either side and a bobby pin in the fringe area. The rest of the hold came from the set. I used no setting lotion and no hairspray. I am so very happy with the way it came out. My hair was soft, bouncy and very shiny. The set was so successful, that at the end of the day, I simply put my setting net back over my hair while I slept and today, while a little less intense, is still very much ‘in shape’, and benefited from a little comb to put the waves in place. I’m going to push the friendship with it too, and pop it in the net tonight to see if I can get away with another day. This post is divine! I have been thinking about growing my hair longer to make way for more vintage styles in my life, but this is convincing me otherwise. Thank you!